Find the Best Real Estate Agents in Door County! Looking to purchase Door County real estate? Whether you are looking for a Door County home, Door County property, or a Door County condo or cottage, you can find your Door County real estate information right here! Door County real estate means houses, Door County homes, condominiums, vacant land, resort hotels, Door County businesses for sale and more! We even list Door County architects and home designers, interior designers, and even places where you can purchase furniture for your new Door County home! When you want Door County Wisconsin property, start right here on DoorCountyNavigator.com - see some of the best Door County real estate agencies right on this page, and check out our real estate town lists too for more Door County real estate agency names, addresses and phone numbers. 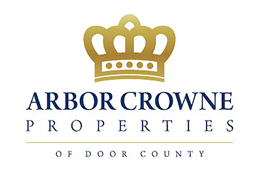 For Door County homes - your dream begins here! Door County Wi and Door County property go hand in hand - find the best Door County land and homes right here!